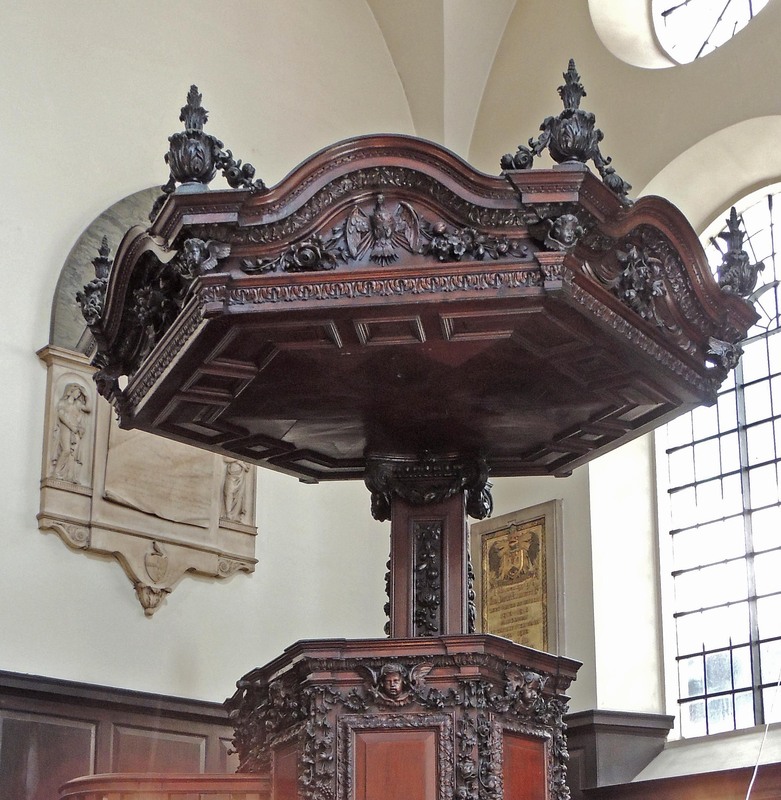 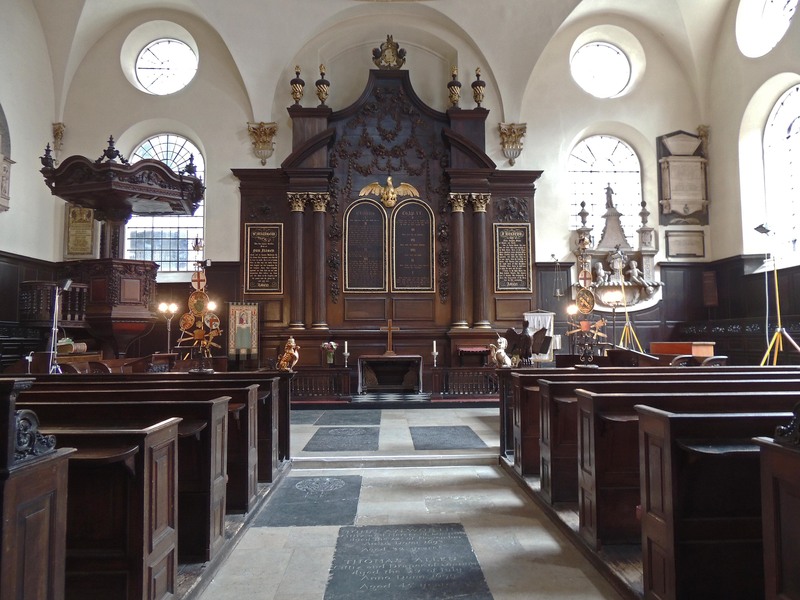 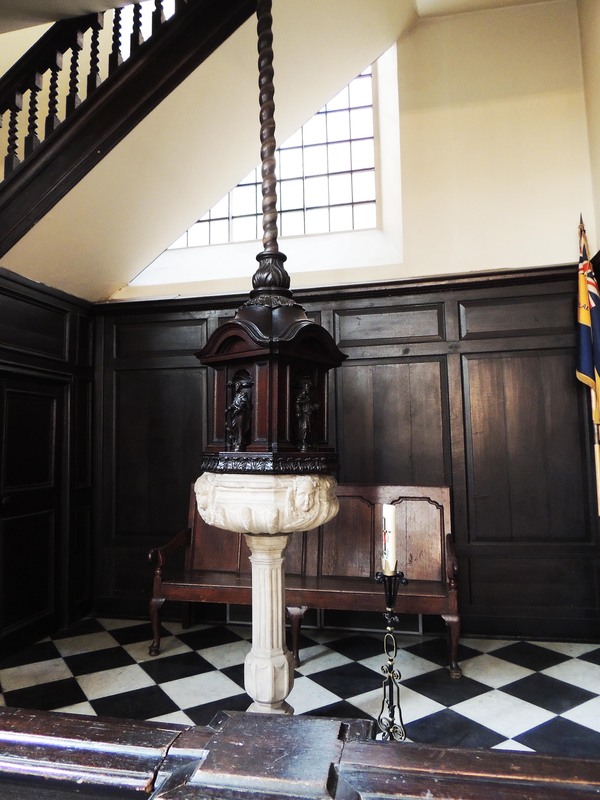 Despite its location just off of the main thoroughfare of Cannon Street in the City of London, Abchurch yard and its church, St Mary are a quiet oasis of peace. 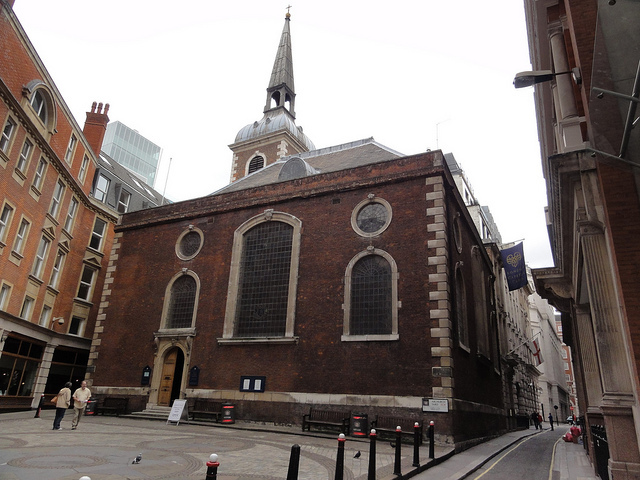 There has been a church on this site since the 12th century, but the medieval church was burnt down during the great fire of London in 1666. 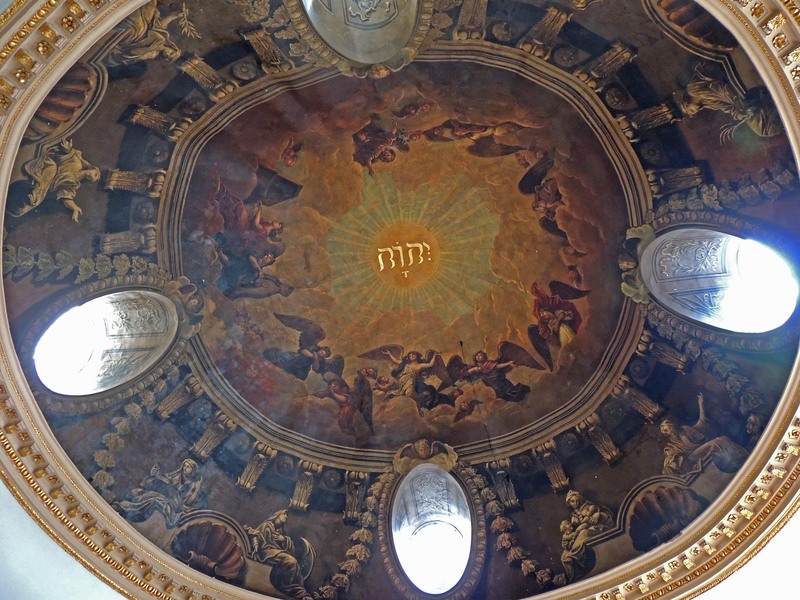 Building of the new church, designed by Sir Christopher Wren, was commenced in 1681. 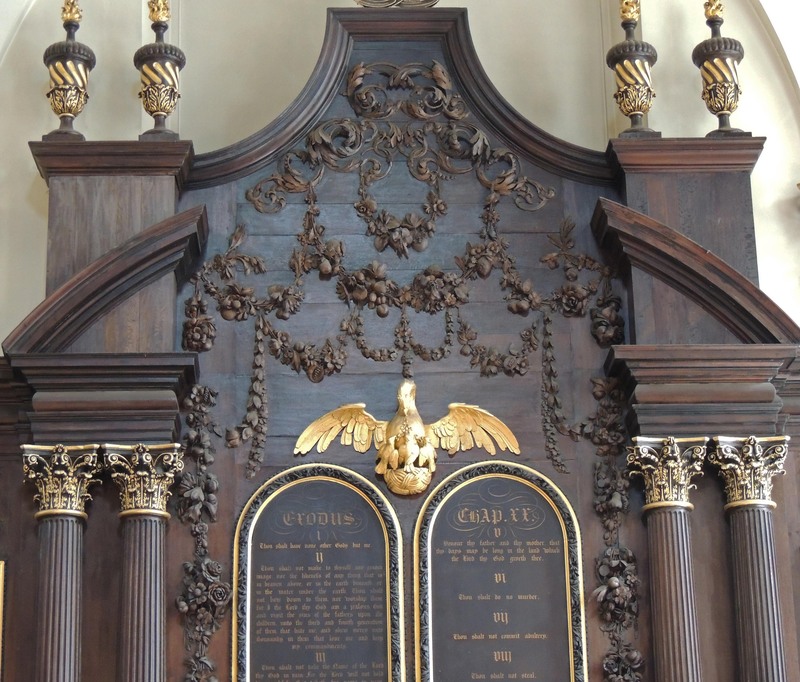 Its major feature is the reredos carved by Grinling Gibbons and this is one of a number of ornately carved features in the church.